A modern take on a retro Seventies style. Bold lines and commanding dimensions create a chic, robust presence ideal for a loft or apartment. 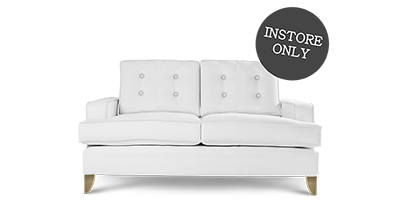 The Monaco has a fabulous, retro-style T shape cushion, where the seat cushion is cut out around the arm. 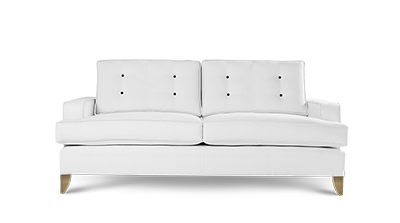 The back cushions are removable and buttoned on each side. Featured here, is a sleek retro foot to give the Monaco a commanding, elevated presence in any room. A twin piping detail throughout, completes the look. Retro-style T shape seat cushions. 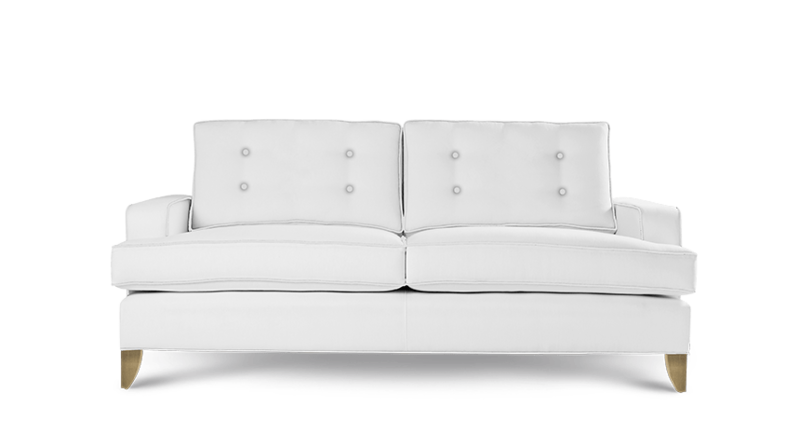 Removable back cushions, buttoned on each side. Contrast buttons and contrast piping available in store only. 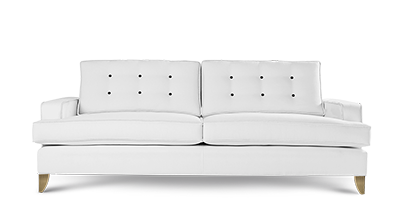 Beautiful sofa very elegant and stylish.Lovely and comfortable.